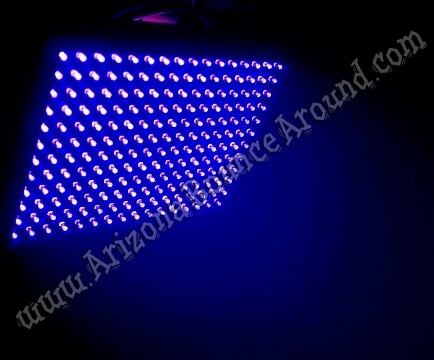 Our high output Black Lights are perfect for glow parties and events in Colorado. These compact but bright black lights will cover a dark area of about 15 feet by 20 feet depending on where the light is placed. Each black light panel is 10 inches tall and 14 inches wide and feature outlets on each light so you can plug in multiple blacklights to each other for fast setup and less cords. 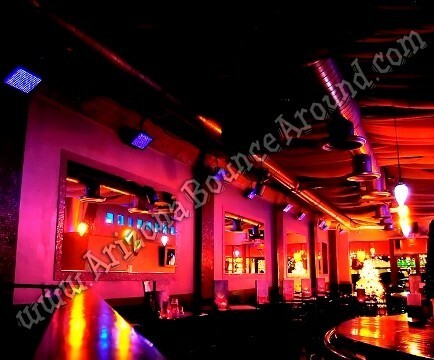 Our black light rentals are perfect for glow parties and events in Colordo. Each Black Light will cover an area about 15' x 20' so you can rent multiple lights to cover your desired area. Everyone loves Glow parties and we have the perfect solution with our black light rentals. Each black light is around 10 inches tall x 14 inches wide and come with a power cord and clamp for attaching them to light stands. They can also be hung on a wall or placed on a table because each black light comes with a floding bracket attached for easy use.